When it comes to ideas for remodelled jewellery, it’s wonderfully useful for a customer to try on pieces from the Stonechat collections. This gives them, and us, a starting point for designs and a feel for what they might like, enjoy and wear. Over recent months our Torc collection has been the foundation for various remodelling projects. It is an excellent example of contemporary jewellery that embraces clean, modern lines and shapes while lending itself well as the basis for a remodelled piece. 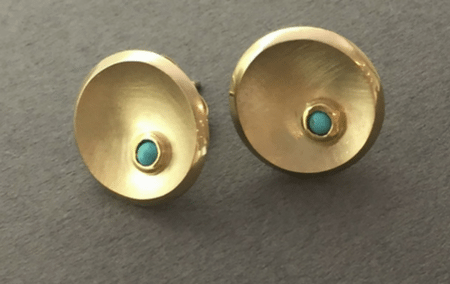 A few months ago, a customer came to us with some old gold, various opals and three diamonds that she wanted to have incorporated into a pendant and a matching pair of stud earrings. 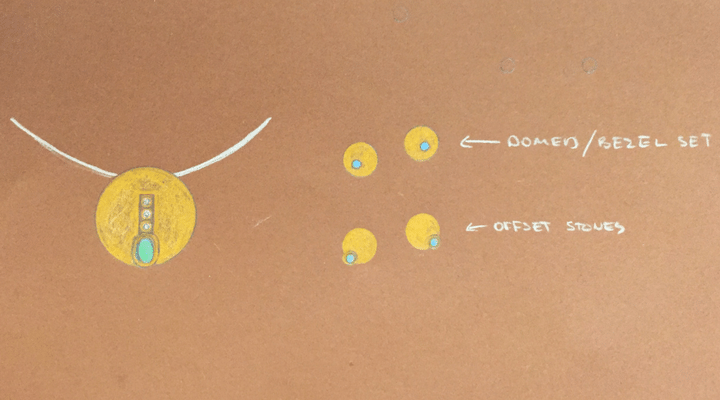 Having talked through various options with her, we sent her sketches for the ideas discussed, using the Torc collection a starting point. Once the designs and the quote were confirmed, we got to work in our in-house workshop. 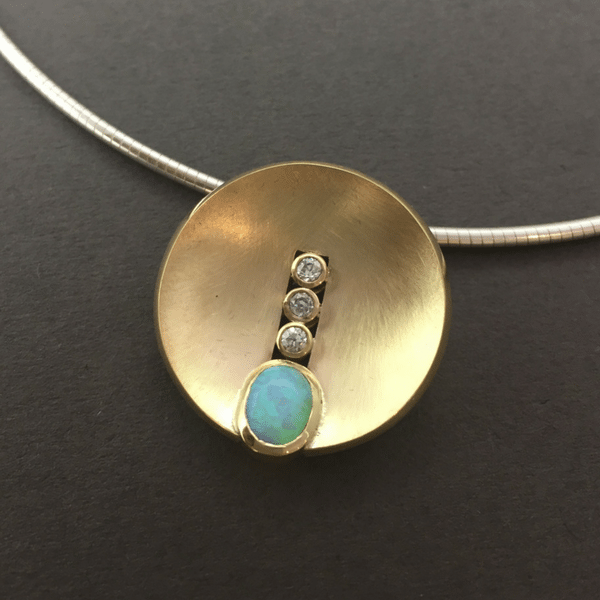 We melted the customer’s gold to make the pendant and the earrings and bezel set her opals and diamonds. The pieces were given a high polish finish on the edges and the settings which contrasted very effectively with the matte finish also used. Our customer was delighted with the end results and is now able to wear her new pieces as a set, or separately. Remodelling is a world of opportunity! 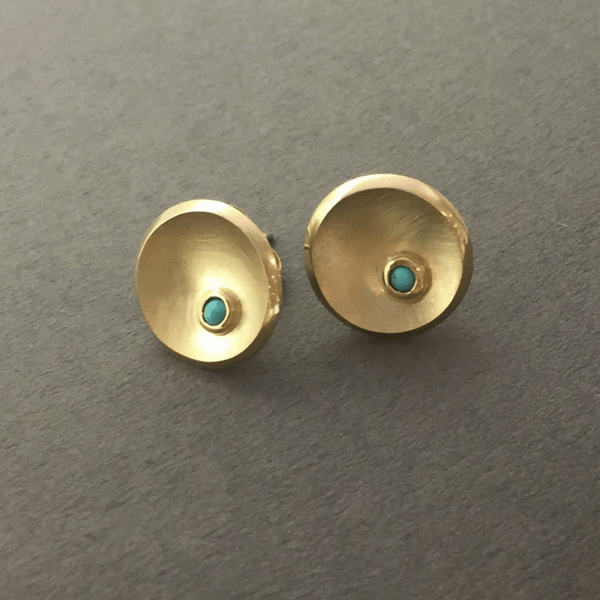 Each project is figured out, working individually with our customers, on a case by case basis according to the gold and gemstones they have and what new piece, or pieces, of jewellery they would like. If you have old jewellery at home that you would like to use for remodelling, please don’t hesitate in getting in touch with us. When you bring everything into the shop, we’ll be able to go through it all with you and discuss options.